Tag Request – How to Buy Transformer Oil Online? - ! Equipment for Transformer Oil Reclamation. GlobeCore. Tag Request – How to Buy Transformer Oil Online? GlobeCore / Case Studies Of Oil Reclamation / Tag Request – How to Buy Transformer Oil Online? In searching the internet for transformer oil, the key phrase, “buy transformer oil” is one of the easiest ways to find products and companies selling transformer oil. The Internet is full of announcements and ads of various products by different companies. Which of the information is true? Well, determining that is a matter of personal judgment and experience, but the following information can help you determine how to make the best choice for the needs of your company. The more technically complicated phrases that are used in the ad, chances are the staff also high has skills and knowledge of the products. From experience however, the simpler the explanation, the better the product. Quality needs little promotion and speaks for itself and can be a good guide to product selection. In the case of transformer oil, the specifications and properties of the oil require special attention. The oil is responsible for insulating and cooling the internal workings of the transformer. Excess heat generated by the transformer operation is transferred to the oil through a heat transfer process known as cooling. The oil then transfers this heat to the walls of the transformer tank so it can be dissipated outside the transformer. The other major function of the oil is to insulate the internal components of the transformer and prevent breakthroughs and shorting. Used oil can be disposed of, used as fuel, or regenerated. There are quite a few ads on the web offering to buy used transformer oil for reclamation and regeneration. The wide range of possibilities poses two questions: (1) How to select a quality oil? and (2) How to recover your costs by regenerating the oil? Online market studies show that T-1500 oil is the most popular among manufacturers and consumers alike for use in power transformers. This oil has high dielectric strength, ensuring good insulation of the system. T-1500 oil is used in various transformers and switches. It can be used in cold climate regions as well as tropical and subtropical regions. Other types of oil are similar with variations in purity and specifications. After transformer oil loses its original performance capabilities, using it poses a risk to the transformer. 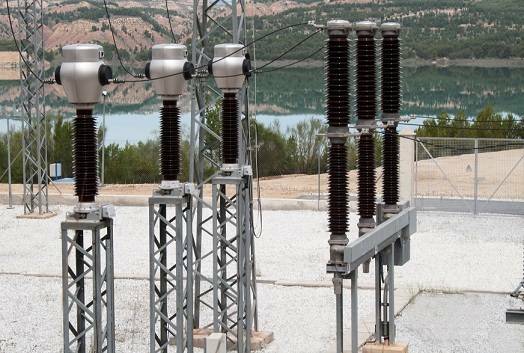 Many companies offer different types of oil regeneration equipment that can regenerate the oil before it poses a performance risk to the transformer. GlobeCore has developed and produces the most advanced and cost effective regeneration equipment in the industry today. Using the GlobeCore Process of regeneration, the need to buy replacement oil is eliminated because the GlobeCore Process completely restores the oil you already have in the transformer to like new condition. So the best way to buy replacement oil on the internet to to avoid having to replace the oil in the first place by using the GlobeCore Regeneration Processs! Its time to get with the Process, The GlobeCore Process!